I'm so happy spring is here. 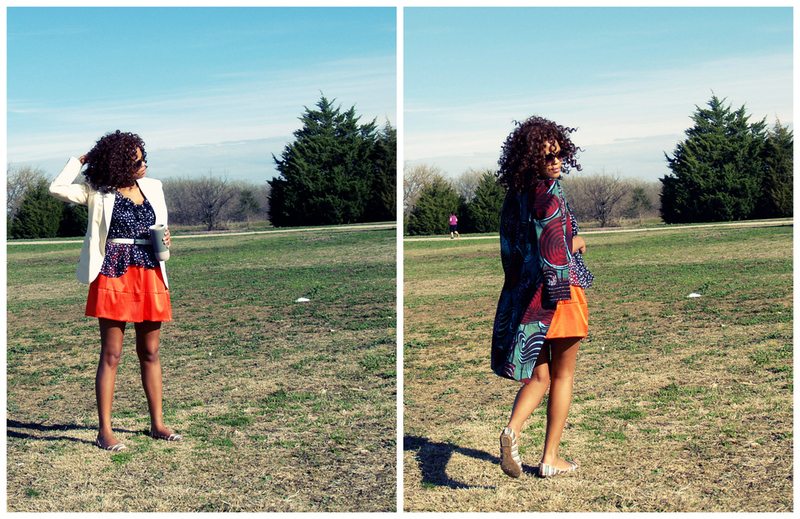 I couldn't wait to spend some time in the park or wear some bold colors and colorful prints. I love this outfit, I got two looks with just a simply change of the outfit wear. For more pictures and detail about the coat, check out this post ( similar coat here and here). H&M Skirt(old) (similar skirt here , here or here). DKNY latte cream blaze (old)(similar blazer here, here or here). top: polka dot top ( similar here and here).